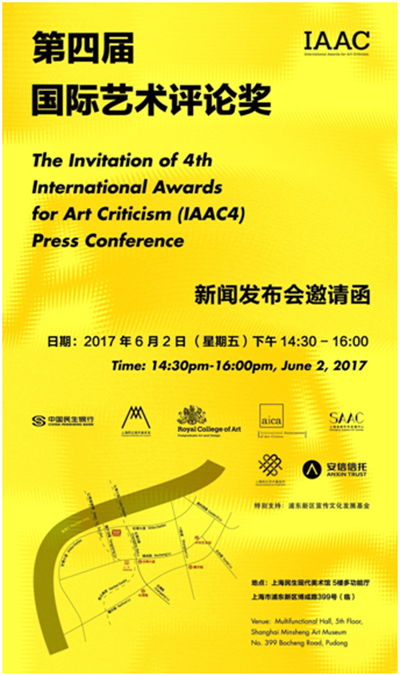 The International Awards for Art Criticism were held for the first time in Shanghai in November 2014, and have now turned into an annual event. They are almost certainly the most open, and the most generously endowed, Awards of their kind and provide a fascinating insight into the range of contemporary attitudes and writing about art. 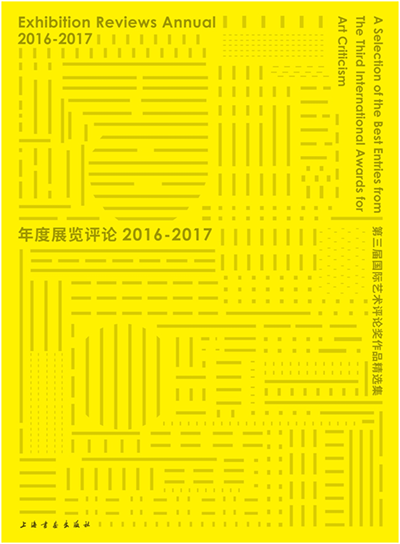 This publication is the third in a series, which will over time serve both as a document of the Awards and as a kind of chronicle of exhibitions taking place across the world in any given year, and of the writing surrounding them. 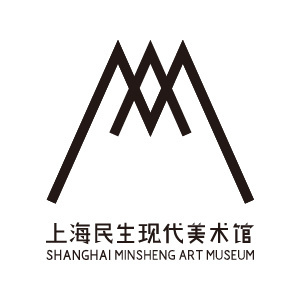 While the two bases of the award are in Shanghai and London, and the languages for submissions are Chinese and English, this is a genuinely international project, with this third edition attracting entries from as many as over 28 different countries, on all the continents, and 21 provinces or regions within China itself so far.